Moisturizing products usually work by drawing water from the air surrounding it and depositing it into the skin. Moisturizers play an important part in skin care and not just for the obvious reason, of course, they are important for those who suffer from dry skin but each different moisturizer adds extra benefits making it essential for everyone who is trying to maintain, or improve the condition of their skin. This is usually because most of the ingredients in moisturizers have several assets. With the many pollution surrounding us on a daily basis, it can really take its toll on our skin, especially on our faces since they are the most exposed areas of our bodies. Which is why it’s so important to take care of our skin and put back some of the things that have been taken away. For those who have oily skin, you’re probably thinking “I don’t need to use moisturizer because my skin is oily enough” well that’s where you’re lucky that you’ve read this article. With regular use of the right moisturizer, it can actually help control your skin’s production of sebum which will give your skin perfect balance. By controlling the production of sebum you will be left with soft, hydrated skin, instead of oily and greasy skin. Here I have picked out the top 3 daily moisturizers for you to understand and evaluate what the best solution for you could be. This moisturizer is literally bursting with natural ingredients! It contains a mixture of oils and vitamins that help heal and rejuvenate the skin. It also has great skin tightening properties keeping your skin looking youthful. You should equally use moisturizers on the neck, as people often overlook that area. The moisturizing properties of this product are mango butter, almond oil, avocado oil and shea butter. The almond oil allows the moisturizer to hydrate the skin without clogging the pores and causing blackheads, whilst the hyaluronate acid strengthens the skin and soothes inflammation. The vitamins A, D and E contained in the avocado oil, mango butter, and the almond oil provides extreme moisture and resets your natural glow. 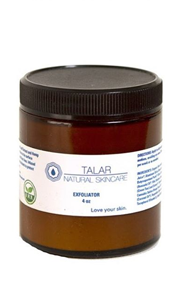 Talar moisturizer includes anti-wrinkle properties that are found in the shea butter and avocado oil, it firms the skin, prevents sagging and reduces wrinkles. All of these ingredients working together restores your skin’s original state and repairs damage and discoloration that may have been caused by the sun or acne. Free from parabens, sulfates, and phthalates but filled with antioxidants, this moisturizer thrives on fighting the anti-aging battle. Its prime ingredients include vitamin C, green tea, jojoba oil, rosehip oil, COQ10, vitamin B5, glycolic acid and shea butter. Immediate hydration is added to the skin from the shea butter, jojoba oil and the vitamin B5 which is really beneficial for those who experience extremely dry skin. Rosehip oil and COQ10 can reinstate the skins natural flexibility as well as revitalize the skin allowing it to look and feel refreshed. These components provide protection from possible dangers such as stress, contamination or harmful UV rays. The restoration of natural elasticity reduces the appearance of aging skin and the antioxidants in this cream will prevent wrinkles and sagging. Yonka ensures they have complete control of the production line allowing them 100% certainty that the ingredients used in their products are safe for our skin. They accept only the highest quality materials that have been fully researched by professionals, enabling them to create high standard products. The yonka moisturizing crème is loaded with vitamins and an inflated number of concentrated botanicals, granting the most effective moisturizing benefits. The renewal and anti-oxidant properties come from the contents of plant-glycerin a natural extract that is gentle on the skin. The blend of essential oils contained in this product not only provides a pleasant scent but it also energizes and revitalizes the skin. 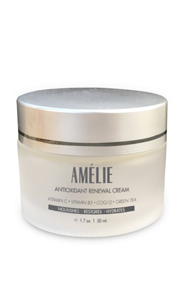 Vitamin A, E and F hydrates and minimalizes tiredness and empowers energetic looking skin. 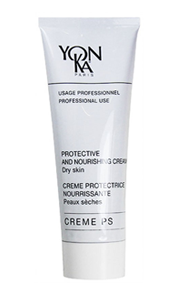 Yonka moisturizing crème contains olive oil which will sooth the skin as well as adding additional moisture. After you have bathed, is the prime time to moisturize your whole body. Once you’ve finished bathing the moisture on your skin will evaporate. To ensure soft skin you will want to keep some of that moisture in your skin and to do this you will want to moisturize. When it comes to moisturizing your face it will all depend on your skin type as to how often you should moisturize. If you have oily skin you should keep moisturizing to a minimum, probably once a day. If you have dry skin, you should try to moisturize as often as possible. The best times to moisturize is after you have shaved, exfoliated, been in the sun or after you have bathed, this will allow the moisture to lock into the skin keeping it hydrated for longer and it will also soothe the skin from any irritations. For those that wear makeup, you stand a higher chance of getting dry skin on your face. You may also find that the cold weather dries out your skin, this can be avoided by moisturizing more. What Makes These Moisturizers So Good? Firstly, there are plenty of brilliant moisturizers out there but I found that these were rated the top three at the moment. Some moisturizers can get expensive but if you’re on a budget you will definitely be able to find a good product that works well for you. All three of the moisturizers listed here have a very proud group of professionals behind them. The companies have clearly worked very hard to keep any harsh chemicals to a minimum, replacing as many ingredients as possible with natural materials. This qualifies them to create high-quality products that improve and protects the state of your skin. The majority, if not all of the moisturizers listed here are also suitable for vegans and they all are free from animal testing.